Alejandro Barceló has a degree in Economics from the Autonomous University of Barcelona, an MBA from ESADE and completed a Management Development Program (PDD) by IESE. He holds extensive experience in the area of Supply Chain, technology, pharmaceutical and consumer goods companies such as SAP, Alcon (Novartis), Orangina Schweppes Group (Sunny Delight). He has conducted several international strategic consulting projects in the Middle East and South America (ALG, INDRA Group). 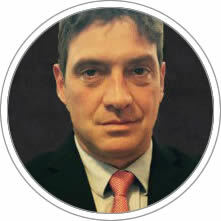 He is Director of the Area of Logistics Business in Group One CTC, associate professor of EADA and visiting professor at CENTRUM Catolica Graduate Business School.